The ZoneFlex T301 Series are dual-band 802.11ac outdoor access points (AP) designed explicitly for high density user environments such a stadiums, arenas, train stations, convention centers, and major metro areas. 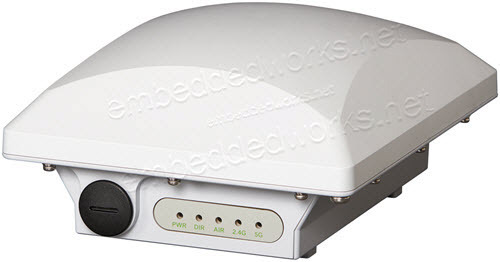 Packing List: ZoneFlex T301n, 30x30 deg, Outdoor 802.11ac 2x2:2, narrow sector, dual band concurrent access point, one ethernet port, PoE input includes adjustable mounting bracket and one year warranty. Does not include PoE injector. Packing List ZoneFlex T301n, 30x30 deg, Outdoor 802.11ac 2x2:2, narrow sector, dual band concurrent access point, one ethernet port, PoE input includes adjustable mounting bracket and one year warranty. Does not include PoE injector.